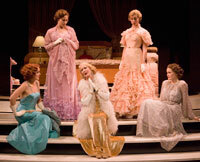 (l-r) Kate Baldwin as “Mary Haines” and Kathleen McElfresh as “Crystal Allen,” with cast members behind in The Old Globe’s production of The Women, by Clare Boothe Luce, directed by Darko Tresnjak, playing in the Old Globe Theatre September 13 – October 26; photo by Craig Schwartz. 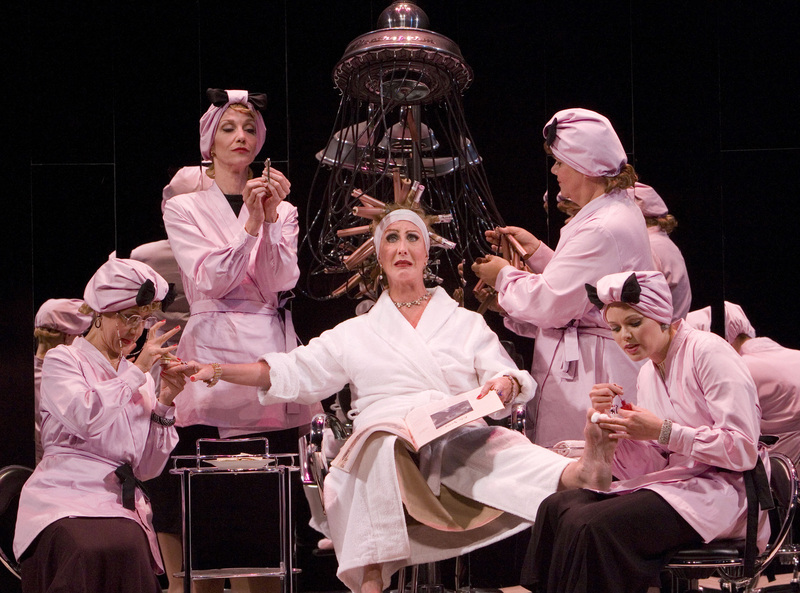 (l-r) Jenn Harris as “Olga,” Blair Ross as “2nd Hairdresser,” Ruth Williamson as “Countess de Lage,” Mary-Pat Green as “1st Hairdresser” and Aimee Nelson as “Pedicurist” in The Old Globe’s production of The Women by Clare Boothe Luce, directed by Darko Tresnjak, playing in the Old Globe Theatre September 13 – October 26; photo by Craig Schwartz. 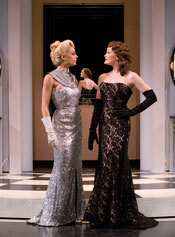 Heather Ayers as “Sylvia Fowler” and Kathleen McElfresh as “Crystal Allen” in The Old Globe’s production of The Women, by Clare Boothe Luce, directed by Darko Tresnjak, playing in the Old Globe Theatre September 13 – October 26; photo by Craig Schwartz. 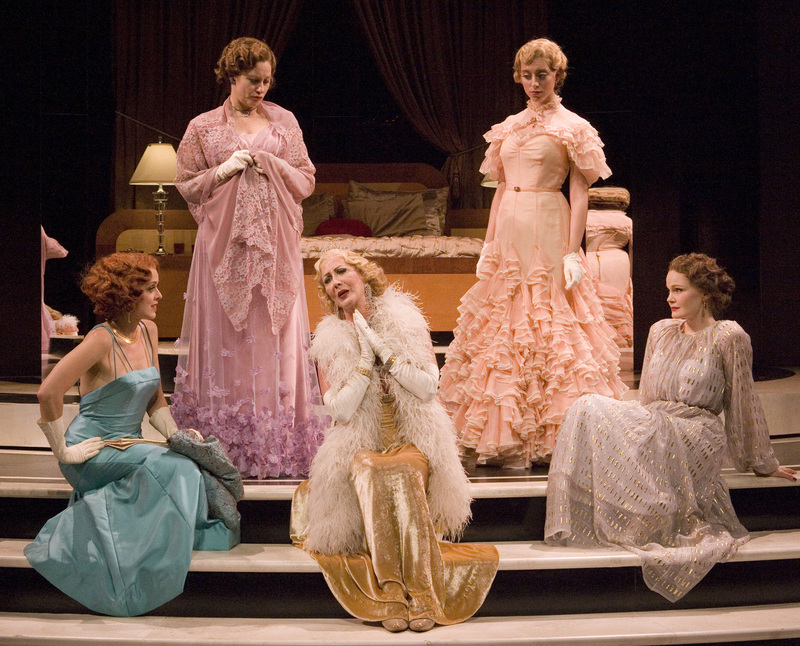 (l-r) Nancy Anderson as “Miriam Aarons,” Amy Hoen as “Edith Potter,” Ruth Williamson as “Countess de Lage,”Amanda Kramer as “Peggy Day” and Kate Baldwin as “Mary Haines” in The Old Globe’s production of The Women, by Clare Boothe Luce, directed by Darko Tresnjak, playing in the Old Globe Theatre September 13 – October 26; photo by Craig Schwartz. Kathleen McElfresh as “Crystal Allen” and Kate Baldwin as “Mary Haines” in The Old Globe’s production ofThe Women, by Clare Boothe Luce, directed by Darko Tresnjak, playing in the Old Globe Theatre September 13 – October 26; photo by Craig Schwartz. 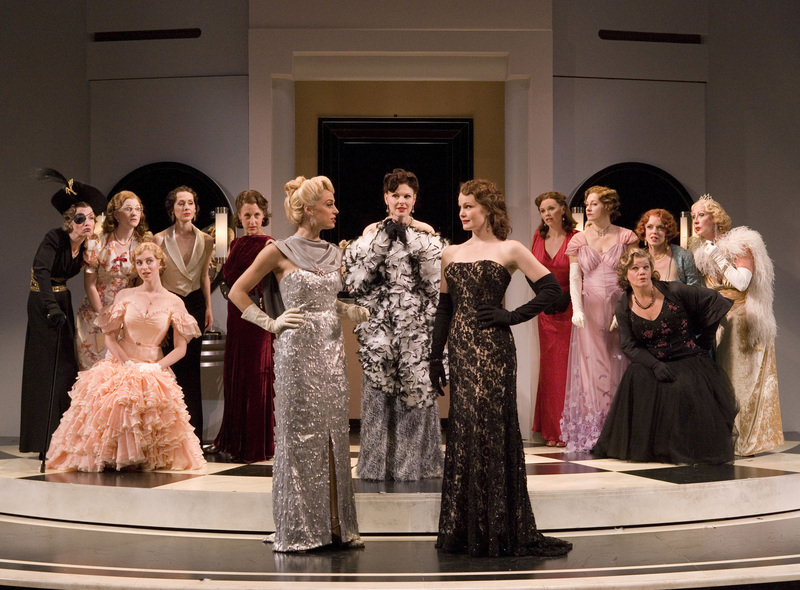 The Cast of The Old Globe’s production of The Women, by Clare Boothe Luce, directed by Darko Tresnjak, playing in the Old Globe Theatre September 13 – October 26; photo by Craig Schwartz.